1) Amazon’s retail sales was lower than expected for the fourth quarter, although their other operations kept profits up. 2) The collapse of Sears just might be the start of a retail apocalypse. As more retailers became troubled, it may signal consumerism is slumping. Even strong retailers had a lackluster Christmas, more economist are fearing a coming recession and more retailers will be in trouble if economic growth slows. 3) Brexit has already spawned economic damages. The largest EU banks are moving out or planning to move in the near future. Britain’s Pound has fallen 10% against the Euro resulting in reduced purchasing power for the British people. There are many other sectors adversely effected. 1) Analysis estimate there is a 40% chance of a recession in 2019. 2) Analysis cut the 2019 earnings forecast by more than half. While still growing, earnings are growing at a slower rate than expected from 2018. 3) This next year will be a make or break for fifteen international corporations. They are Bayer, Sears, BT, Tesco, Deutsche Bank, GlaxoSmithKline, Tat Motors, Ford, EDF, Goldman Sachs, General Motors, Huawei, Facebook, Air France – KLM, and RWE. Of interest is the number of automotive manufactures in trouble. EARS To The GROUND,We will be showcasing daily reporting from new around the world (mainly on economic, economy, business, finance, but not limited to) news sources that is readily available, and has been readily available. 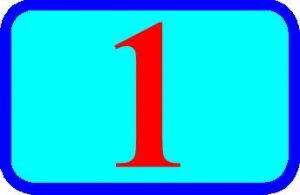 EARS To The GROUND, will be providing tid-bits from news around the globe that our readership may not know is available or would want insight on…. 1) Slow growth of European manufacturing continues for 18 months as a result of fears of international trade. The issue of trade tariffs and the impact of exports from Europe leave manufactures reluctant to invest in expansion fearful that their markets may diminish leaving them high and dry..
NIGERIA & SOUTH AFRICA EXIT RECESSION !!!!!!!!!!!!!!!! Two of Africa’s biggest economies have officially exited recession. In the second quarter of 2017, Nigeria’s economy improved by 0.55%, a large part attributed to Nigeria’s growing agri sector (agriculture); as well as Nigeria’s oil production stabilizing again. 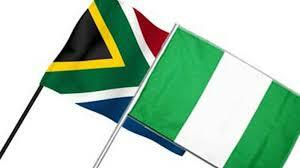 NIGERIA BIGGEST ECONOMY IN AFRICA AGAIN: TWICE IS A CHARM!!!!!!!! Nigeria reclaimed its numero uno status as the biggest economy in Africa again, last week. The IMF indicated that Nigeria’s GDP contracted to $415 billion, while #2 runner up South Africa had $280 billion and rounding off #3 was Egypt, (which data has not come out yet when writing this piece). 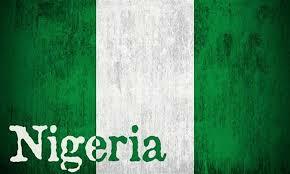 DON’T COUNT NIGERIA OUT….. WORK IN PROGRESS………. As a all around businessman, creator, publisher, founder and writer, columnist and to some degree analyst of the economy and finance (as I see fit); I tend to read articles about the economy, business, finance and real estate in other countries and continents. I currently read an article on Nigeria about its economic state. The article was in Bloomberg News, which covers much of Nigeria and Africa. 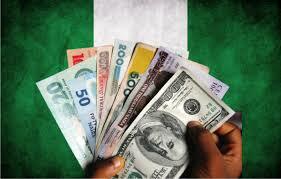 The article pretty much indicated that Nigeria was on “its knees”, and the economic state was crumbling drastically. Since we are an economic and financial blog site, I would like to throw my “2 sense/cents” if you will (no pun intended). All these factors played roles in recurring events. The Buhari Administration had to deal with this as well as other problems while coming into power; mind you they came into office with currency reserves diminished by more then 50%. This would be a tough task that any administration would have to alleviate. In 2008 the Obama Administration and Congress had similar scenarios as well, in all respect, when the US was in recession. One year for any governance is not attainable in any condition, more time and strategic policies have to be instituted. President Buhari, his close advisors, and national policy experts will have to figure out more creative ways to boost the economic climate within the country. I believe they eventually will.